You would hard pressed to find a better story in the world of craft beer. A small town, family run business revered at home and abroad, that turns over ownership to its employees. Organic ingredients, B-Corps status. Awards from industry and fans alike. Solid, sustained growth. 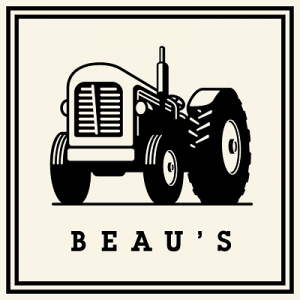 Beau’s All Natural celebrated its 10th anniversary in 2016. Born in the small, Eastern Ontario community of Vankleek Hill, the operation started when two members of the Beauschene clan, father Tim and son Steve, decided to open a brewery in a converted industrial space. From there they started hiring siblings, cousins, in-laws and friends. New workers started calling the Vankleek Hill area home, while more employees starting popping up in other areas of the province. Today, from its base in the “Gingerbread Capital of Ontario,” Beau’s cuts paycheques for 160 employees in different regions.